The Ordem dos Médicos Dentistas, Portuguese Dental Association, 26th Congress took place at Altice Arena on the bank of the River Tagus, from the 16th to the 18th of November. The FDI President, Dr. Kathryn Kell, kindly accepted OMD’s invitation to participate at our Congress. See her inspiring speech below. Official opening of Expodentaria Portugal with the presence of the Portuguese Minister of Economy, Manuel Caldeira Cabral. The Secretary of State Assistant of Health, Fernando Araújo, presided the opening ceremony. It was one of the highest moments of the congress once he announced a proposal for the adoption by our National Health Service of a specific professional career for Portuguese dentists. During the congress, the ceremony to award specialist titles in orthodontics (7), oral surgery (135),paediatric dentistry (63) and periodontology (55) took place. More than 900 people attended the ceremony. Saturday at the end of the day. Group photo of organising committee and volunteers. Mission accomplished. A happy end! 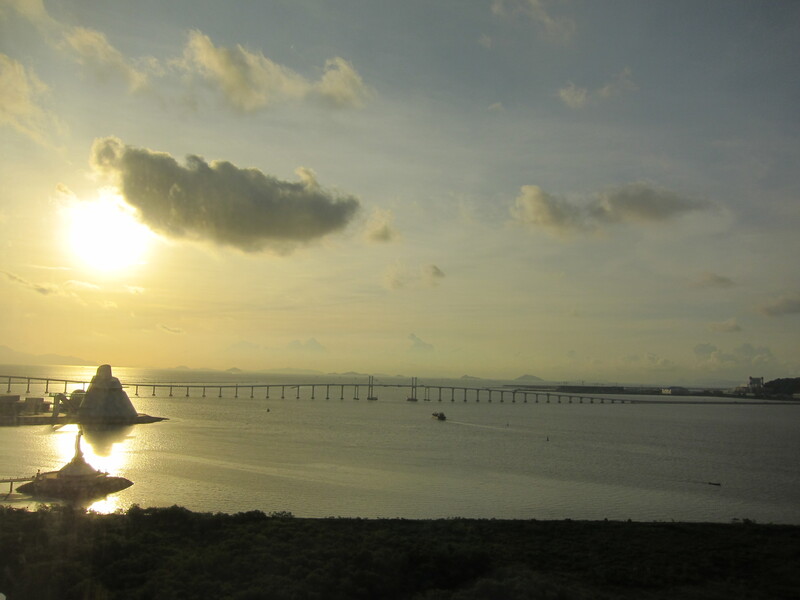 Macao is no longer administered by Portugal, but there is still a lot of Portuguese flavour in this Chinese territory. Perhaps these long lasting ties influenced my decision to accept the invitation to be Ambassador of Congresses in Macao. I received the invitation from the Secretary for Economic Affairs and Finance of the Government of the Macao Special Administrative Region, Dr. Leong Vai Tac, that honoured me greatly. The mission of supporting the promotion of Macao as a privileged destination for holding business events and congresses, and at the same time promoting dental medicine, did not leave me indifferent. I know this region well, I can see its potential. As the old Macao saying “he who drinks the water from the Lilau fountain, will not leave Macao”, I know well this constant desire to return, to see for myself the development and the growing dimension of Macao. It is a bit of this breathing in Macao that made me accept this invitation. Macao is infinite in diversity. From the magnificent casinos, to the beaches, to the miscellany of cultures and gastronomy, to monuments, to the frenzy of people who come and go every day from Macao, our arms are not long enough to grasp this whole cultural, economic and Human dimension. Is there another place like this? Macau já não é de Portugal, mas ainda há muito sabor português neste território chinês. Talvez por estes laços que teimam perpetuar aceitei o convite para ser Embaixador de Congressos em Macau. Recebi o convite do Excelentíssimo Secretário para a Economia e Finanças do Governo da Região Administrativa Especial de Macau, Dr. Leong Vai Tac, que muito me honrou. A missão de apoiar a promoção de Macau como destino privilegiado para a realização de eventos empresariais e congressos, e em simultâneo promover a medicina dentária, não me deixou indiferente. Conheço bem esta região, conheço o seu potencial. Como diz o velho ditado macaense “quem bebe a água da fonte do Lilau, não mais deixará Macau”, sei bem desta vontade constante de querer voltar, de ver o desenvolvimento e a dimensão crescente de Macau. É um pouco deste respirar Macau que me fez aceitar este convite. Macau tem uma infinita diversidade de ofertas. Desde os magníficos casinos, às praias, a miscelânea de culturas e gastronomia, monumentos, o frenesim de pessoas que todos os dias entram e saem de Macau, enfim os nossos braços são curtos para apanhar todo este movimento, toda esta dimensão cultural, económica e humana. Haverá outro lugar como este? The Portuguese Dental Association held its annual congress from the 12 to the 13th November at Meo Arena in Lisbon. The 24th edition of PDA’s congress registered 84 lecturers, 108 posters and 10 730 participants. Expo Dentaria, which is held simultaneously with the congress, boasted 118 companies, representing a total of 390 stands. These numbers just go to show that this year’s congress was one of the best ever in the history of PDA! The opening ceremony of the congress, with the presence of the former President of the Republic Jorge Sampaio, and the Minister of Health, in functions at the time, Fernando Leal da Costa. The scientific sessions always gathered a significant audience, reflecting the quality and interest of the lectures. See you next year in Porto where the 25th edition of the Portuguese Dental Association Congress will be celebrated! Friedrich A. Herbst, past executive director of IDM, International Dental Manufacturers, recommended me for fellowship of ADI, Academy Dentistry International. The convocation took place in Cologne, Germany at the 36th International Dental Show 14 March 2015. Back row, left to right: Hans Jürgen Schmitt, Christian Berger, Dusko Gedosev, Mariana Pacurar, me, Günter Dhom, Hassan Shayesteh and Kaveh Seyedan. With FDI speaker, Gerhard Seeberger. Last but not least, I would like to take this opportunity to state the enormous capacity of Fred Herbst as executive director of IDM. Fred was responsible in these last 17/18 years for projecting IDM. His executive leadership was also inspiring for me. I had an enormous pleasure in working with him for a few years. Fred, all the best for your next endeavours!